There is much to enjoy about Downton Abbey, but Violet, aka Dowager Countess of Grantham, as portrayed by Maggie Smith, is the creme de la creme. Which is what led me to rent The Prime of Miss Jean Brodie for a recent movie-watching evening with “my gerls” (can’t you hear Miss Brodie and her Scottish accent now?) To the enormous pleasure of spending an evening in the company of the romantic and passionate Miss Brodie, we added the pleasures of rib-eye steak, pommes dauphinois and Toutoune’s Winter Salad. 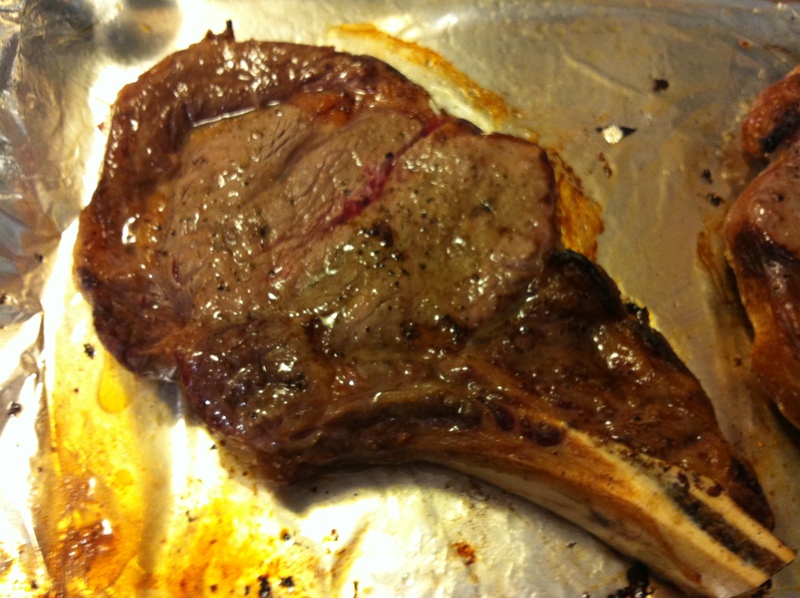 The rib eye preparation was straight-forward – salt and pepper and a few minutes under the broiler – accompanied by a slew of sauteed onions and mushrooms. While the steak was sitting for a few minutes, I dressed the salad, which I had discovered in Patricia Wells‘s At Home in Provence. When I read her introductory sentence, “I think of this salad as a winter vitamin pill – all crunchy, healthy, wholesome”, I knew it was exactly what we needed to provide some balance to the rest of our meal. 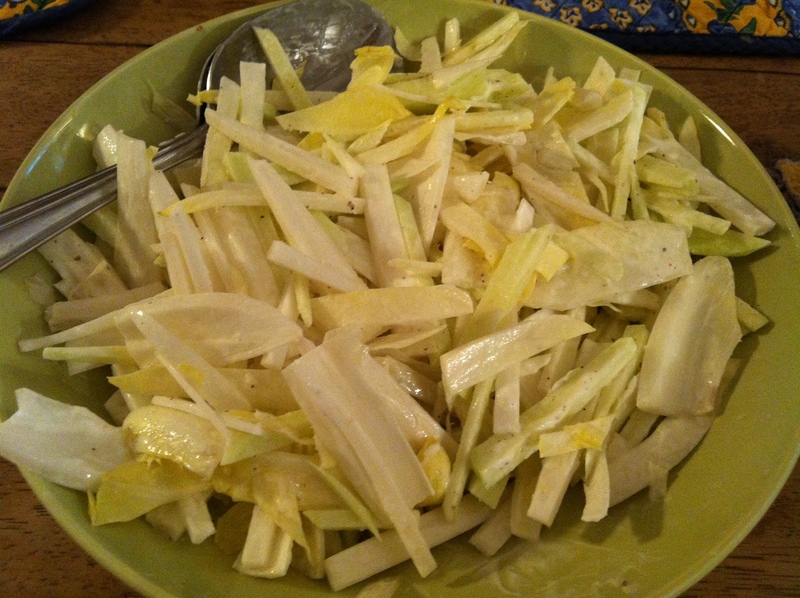 Match-sticked endive and Granny Smith apples are tossed with a dressing of lemon juice, salt and pepper, and a few tablespoons of heavy cream. But the foundation around which this meal was built, was the pommes dauphinois, which my girls have been agitating for on a regular basis since they first encountered it on New Year’s Eve 2010. 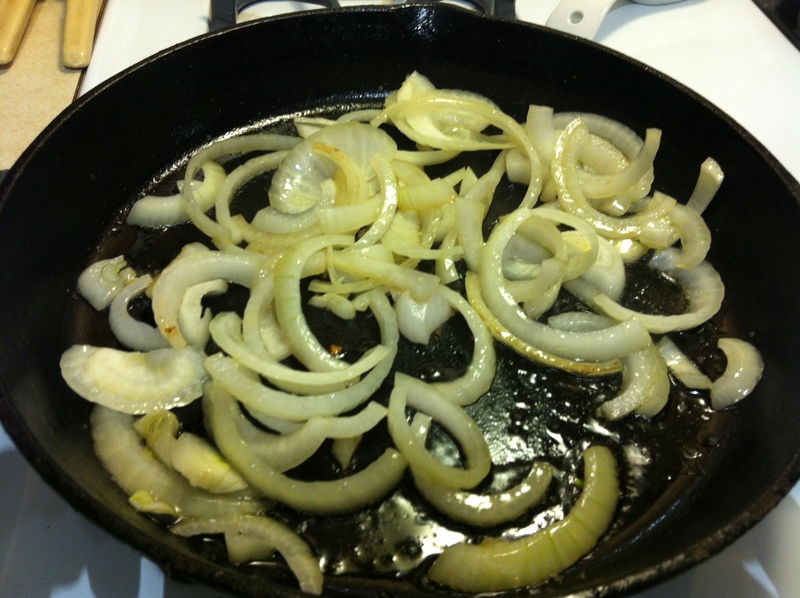 I use Julia Child’ recipe, from volume 1 of Mastering the Art of French Cooking. 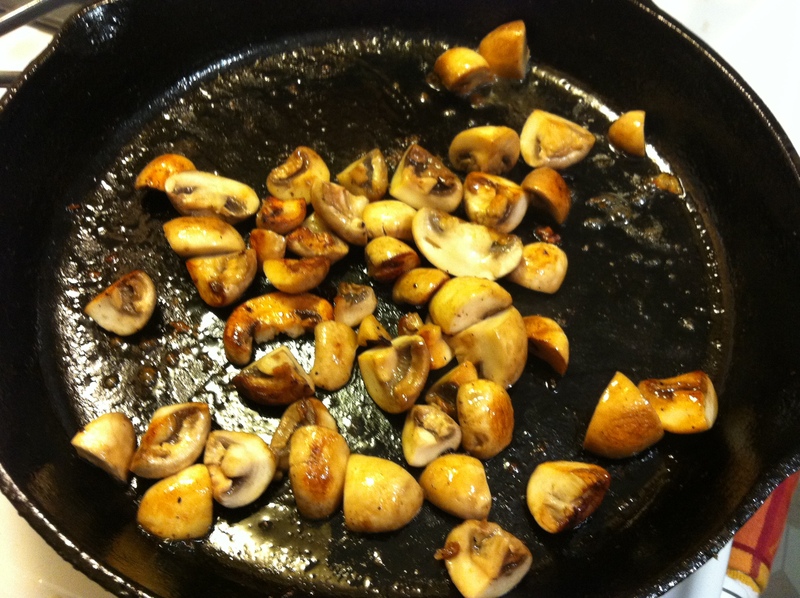 Thinly sliced potates are layered in a garlic-rubbed and buttered casserole dish, each layer sprinkled with Gruyere, salt and pepper, and dotted with butter, and then doused with a cup of boiling whole milk. Bake until bubbly, golden, and tender, and then attempt to get your children to eat something other than a plateful of potato! YUMMMMM !need i say more? this is your dear aunty G. speaking. 🙂 Love Downton Abbey and now I can’t wait to see The Prime of Miss Jean Brodie. Maggie Smith is divine! As is your movie dinner. 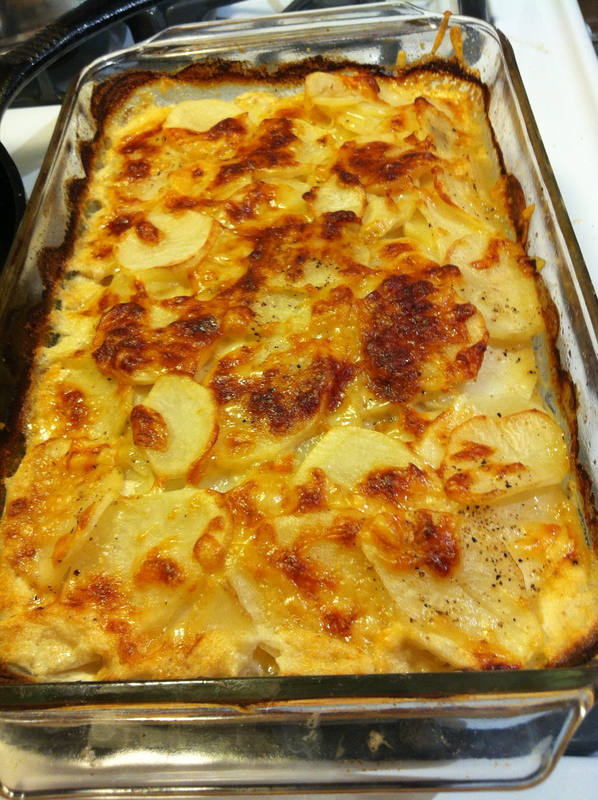 Dauphinois is one of my two girls favorite dishes as well. What a great Mom your girls have. Delicious Wishes! You’ll love it, Karista, I’m sure! Thanks for your very kind words – they’re much appreciated! You’re so welcome Kristin! I simply adore my two sassy gals and miss the times when they were little. 20 and 14 now and fiercely independant and lovely. Enjoy the holiday weekend!